Building your team-do you have the proper ingredients and recipe? Teams-we all hear about them, participate in them, live with them and die with them. We almost cannot function unless we are part of a team. With all of this work done in teams, I still scratch my head when I see how little people do to help make their teams successful. Many of these same items go into forming and making a team successful. 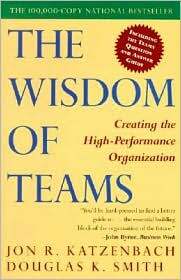 Let’s review a few key items about teams from my personal experience and also from some trusted, well-known resources I use frequently (you might use these resources too). Such a simple, yet powerful, definition. Let’s break this down just a little for today. Today’s primer is just the beginning on a series I am writing on teams. We have gone over a brief review of two of the key items to keep in mind in building your team. In my next post we will discuss some of the tactics you can use within these guidelines that will help your team get to where they need to be.